Let us start with the obvious monetary gains which can be accrued from teaching English in China. 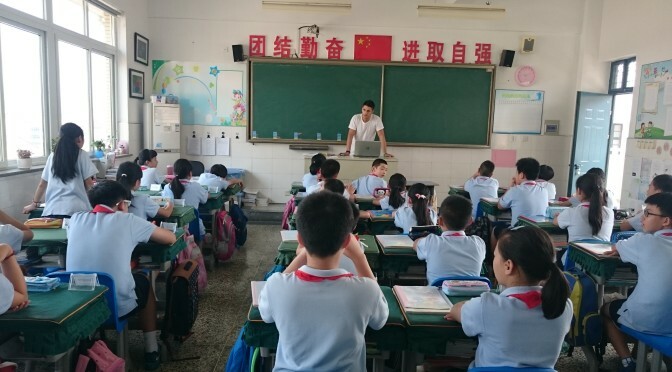 The monthly salary teaching in China exceeds that of the UK, 8000-20000RMB after-tax monthly salary (£1000-2300). The higher salary is great, but what’s even better is that it’s cheaper to live in China than in the UK as well! Which means you will get even more out of your wage than if you were to stay teaching in the UK! The monetary gains don’t stop after you return from China. Such an experience can be added to your CV and will make you a more employable individual in your other job pursuits. Whether you learn mandarin during your time or not, just by having an experience like this will make you a more interesting person and you will undoubtedly stand out from the masses. You will be gain invaluable skills such as teamwork skills, communication skills which will also make you a more employable person in long run. Aside from the monetary gains already stated, there are also non- monetary gains to be accrued from such an experience. Starting with friendships, whether they are with fellow expatriates or locals in your region, lifelong friendships are bound to be made during this year, something which money cannot buy! This may sound cheesy, but your experience should make you a more culturally aware person. China is home to a very diverse culture with a very long history, and therefore by living there for a year, you will be able to better acquaint yourself with their culture and traditions that they practise. There can be no monetary value placed on memories made. You will make many unforgettable memories during your time in China. Whether that is from travelling around the immense country and seeing some of the world heritage sites that China boasts, or through making new friends or both- make new friends and travel with them! These memories will be something you carry with you for the rest of your life! So why not take a chance now, apply to become a teacher in China and make unforgettable memories! Previous PostCHINA TEFLER FAQ’sNext PostWhy choose Noon Elite Recruitment over other recruitment firms?